EN353 is a low-carbon alloy steel, predominantly used for manufacturing heavy-duty gears, shaft and pinions, especially crown wheel and pinion. It is usually carburized, hardened and tempered to produce a hard ware-resistant case. Heat-treated EN353 steel exhibits enhancement in ductility, toughness, strength and hardness; internal stresses are relieved in the material. Grain sizes of the steel were found to be ranging from ASTM number 5 to ASTM number 8, i.e. average grain diameter of 0.022 to 0.062 mm. Spheroidizing of low-carbon steel is a method of prolonged heating at a temperature below the eutectoid temperature. By heating at this temperature, pearlite, which is the lowest energy arrangement of steel, gets converted to ferrite and cementite. The graphite content of steel assumes a spheroidal shape; and after prolonged heating, the pearlite layers are broken down and spherical lumps of cementite or spheroidite are found. The structures in spheroidite are 1000 times larger than those of pearlite and are spaced further apart. This means the spheroidite steel is extremely ductile. In this work, EN 353 billets are heat-treated to achieve spheroidization and the mechanical properties of the material were studied. After spheroidizing annealing, the hot-rolled EN353 low-carbon alloy steel became softer with an increase in ductility and toughness but at the expense of its yield and tensile strengths. 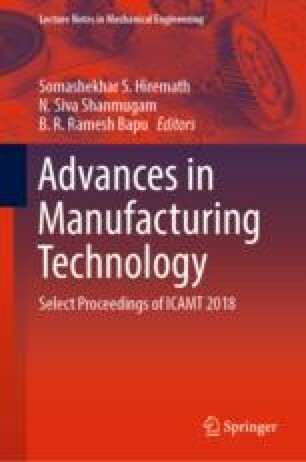 The authors are grateful to Prof. R. Sethuraman, Vice Chancellor, SASTRA Deemed to be University for providing this opportunity to publish this work.